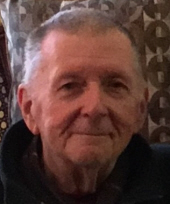 Ronald W. Howard, 80, of Ligonier, formerly of Irwin, died Friday, January 18, 2019 in Loyalhanna Care Center. He was born November 15, 1938 in Pittsburgh, a son of the late Melvin C. and Mae Anderson Howard. Prior to his retirement in 2000 he had been employed as a deli merchandiser for Supervalu. He was Past Master of Greensburg Lodge #518 F&AM before transferring his membership to Ligonier Lodge #331 F&AM. He was a U.S. Army veteran of the Korean War. He was a member of Ligonier VFW#734, and the Rolling Rock Hunt and Pony Club. He was an equestrian most of his life and enjoyed jumping his horses and participating in the Rolling Rock Hunt and Pony Club.. In addition to his parents he was preceded in death by a daughter, Pamela Baker, and a brother, Raymond Howard. He is survived by his wife of 54 years, Joy Simpson Howard, two children, Cindie (J. Paul) McCracken of Ligonier and Ronald (Renee) Howard, Jr of North Huntingdon, four step-children, Patricia Simpson of Ft. Myers, FL, Joy (Roger) Crawford of Vowinckel, PA,, Donald (Loretta) Huth of Freeport, and Daniel (Debbie) Huth, of Templeton, fifteen grandchildren, Taylor and Zach McCracken, Rachel and Ronald Howard III, Melissa Reid, Todd Tackage, Justin, Joshua, and Kellie Huth, Jason, Jarid, and Jennifer Huth, Carol Wiegard, Rob Baker and Brenda Stull, numerous great grandchildren and one step great, great granddaughter. Friends will be received Sunday from 4-8PM at the J. Paul McCracken Funeral Chapel, Inc., 144 East Main Street, Ligonier. A service to celebrate Ron's life will be held Monday at 11:00AM at the Fort Palmer Presbyterian Church with the Rev. Dr. J. Paul McCracken officiating. Interment will follow in the Ligonier Valley Cemetery. The Ligonier Valley Veteran's Honor Guard will present military honors Sunday at 7:00PM followed by the Ligonier Lodge #331 F&AM at 7:30PM. Memorial contributions, if desired, may be made in Ron's memory to the Rolling Rock Hunt and Pony Club. To send flowers or a remembrance gift to the family of Ronald W. Howard, please visit our Tribute Store. "Email Address" would like to share the life celebration of Ronald W. Howard. Click on the "link" to go to share a favorite memory or leave a condolence message for the family.